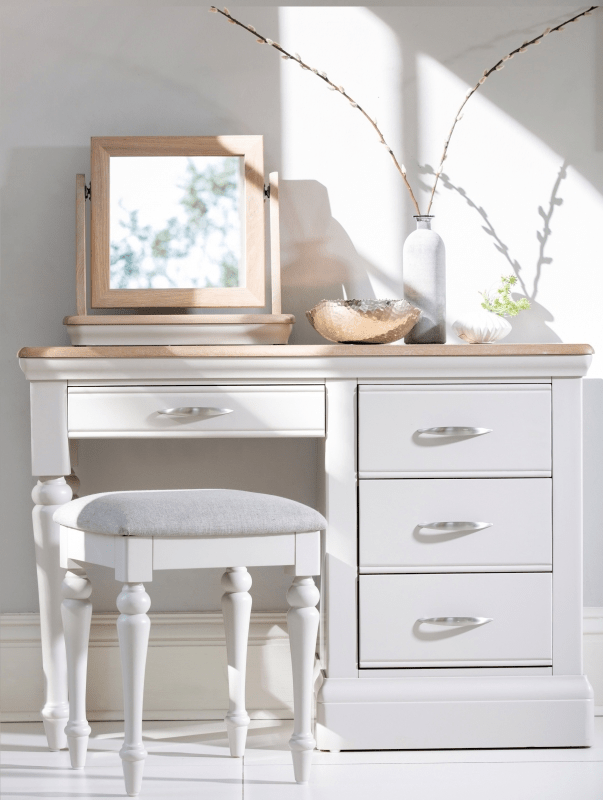 The Hannah three drawer locker is made from solid oak, the base is grey painted and the top is in natural finish. â€¢Classic design frame in Ivory gloss or metallic black finish with Crystal finials. â€¢Sprung slatted base to give extra comfort. â€¢Bed and headboards available in 3ft (9cm), 4â€6(140cm) and 5ft (155cm). 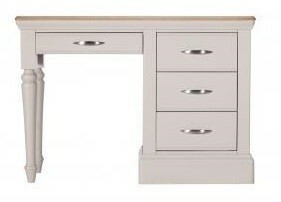 The Hannah Lamp Table is made from solid oak, the base is grey painted and the top is in natural finish.